Delivering precision medicine to late-stage cancer patients is the goal of a “turnkey” informatics solution that integrates offerings from both Royal Philips and Navican, a wholly-owned spinout of Intermountain Healthcare. The solution will apply Navican's TheraMap Precision Cancer Care services and Philips’ IntelliSpace Genomics cloud-based precision medicine platform, which integrates large-scale genomic analysis with extensive contextual clinical patient data, as well as next-generation sequencing technologies and laboratory informatics software from Illumina. The turnkey solution initially will be made available within the Intermountain Healthcare network, with availability to other hospitals and healthcare systems worldwide expected during the second half of 2017. Intermountain—an integrated delivery network of 22 hospitals and 185 clinics—provides personalized testing, diagnosis, and treatment of cancer through its Intermountain Precision Genomics laboratory. Specimens from patients are processed and analyzed by Intermountain Precision Genomics, which identifies clinically relevant cancer mutations. The tumor profile serves as the foundation for the analysis and treatment recommendations developed by Intermountain’s Precision Genomics Molecular Tumor Board for oncologists and their patients. “The number of participants varies. The molecular tumor board is cross-functional and comprised of experts in the field of oncology,” Chakravarty added. Through TheraMap, Navican offers Intermountain “navigators” trained to facilitate patient access to drugs or clinical trials, as well as handle paperwork, submit insurance claims, and facilitate financial counseling. Navican and Philips are not disclosing how many patients or samples the solution is expected to process. Over time, Philips and Navican hope to extend that to earlier cancer stages. How quickly that occurs will depend in part on the success of several ongoing large-scale studies focused on connecting patients with targeted treatments. One such trial, the Targeted Agent and Profiling Utilization Registry (TAPUR) Study, aims to describe the safety and efficacy of commercially-available, targeted drugs prescribed for patients with advanced cancer that has a potentially actionable genomic variant. Also, the National Cancer Institute’s NCI-MATCH (Molecular Analysis for Therapy Choice) Trial, analyzes patients’ tumors to determine whether they contain actionable mutations for which a targeted drug exists, with treatments assigned based on the abnormality. 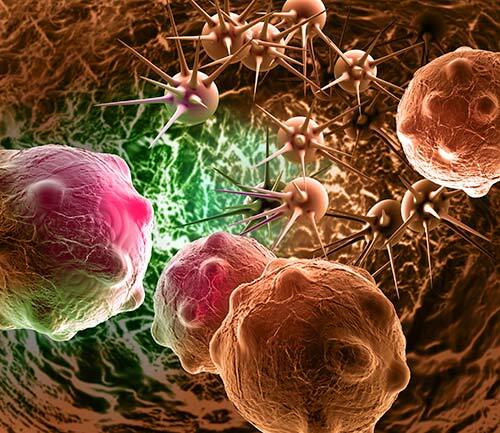 In a study submitted by Intermountain and published February in Journal of Oncology Practice, precision medicine treatments nearly doubled the duration of progression-free survival to 22.9 weeks—compared with 12 weeks for standard treatments—for 72 patients with metastatic cancer of diverse subtypes who were treated in a large, integrated healthcare delivery system between July 1, 2013 and January 31, 2015. Precision-medicine patients were charged $4,665 per week, compared with $5,000 per week for standard-care patients. In January, Philips and Illumina announced a collaboration integrating Illumina’s sequencing systems with Philips’ clinical informatics platform. Data from multiple sources is captured by Illumina’s BaseSpace Sequence Hub, connected to its sequencing instruments, then fed through IntelliSpace Genomics. IntelliSpace Genomics is designed to enable physicians and specialists to plan individualized therapies at point-of-care, by integrating clinical expertise with collaborative computational genomics involving large data sets. The platform brings together raw sequencing data, up-to-date in silico genomic databases, clinical data and knowledge databases, longitudinal patient records, medical images and pathology data, among other sources. The Philips-Navican solution uses an enhanced version of IntelliSpace Genomics that incorporates interpretation capabilities and lets users access reference literature, guidelines, and evidence further enhancing the platform’s clinical trial matching tools, through a partnership with molecular clinical decision support company N-of-One. “The collaboration with Navican is a clear example showing how Philips is transforming itself from an equipment company to an integrated solutions provider offering systems, software and services in an integrated manner,” Culot added.